57% of the children living in the neighborhoods around Kashmere Gardens are at a high risk for obesity. HLM is working closely with Kashmere Gardens and two other Houston/Harris County communities to understand how neighborhood design and access to healthy food may be related to childhood obesity. 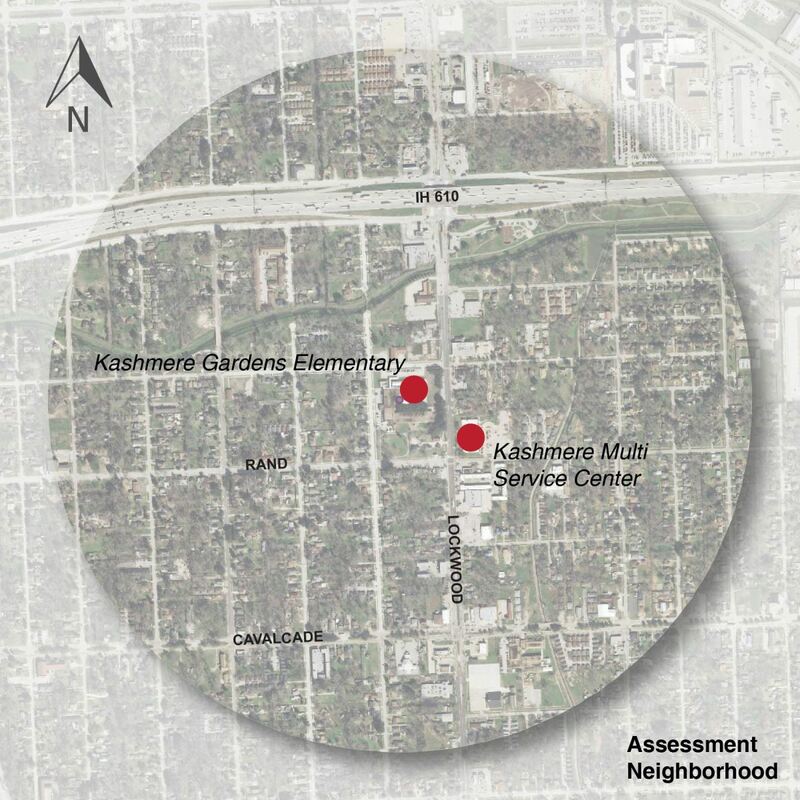 We focused on the neighborhood surrounding Kashmere Gardens Elementary School, shown in the map below.